The Institute for Islamic and Turkish Studies and the Rumi Forum held a panel to discuss the role of community and faith leaders in countering extremism. As radical movements have become increasingly destructive, it is crucial to recognize how and why religion is twisted into a radical tool of conflict and divisiveness–especially since extremism is broadcasted globally through media. The moderator of the panel, Dr. Margaret Johnson, expressed her deep concerns of the abuses of religion and its destructive consequences, especially with regards to youths. How can radical groups like Boko Haram slit 43 young students’ throats? What are the origins of an un-Islamic group like Daesh (the Islamic State)? How can religious conflicts, such as those in the Yemeni Civil War, be avoided? The recognition and reconciliation of religious differences by leaders is crucial in order to prevent extremism and its consequential negative consequences. Following Rabbi Serotta in the discussion was Gail Hambleton, the Vice President of the Global Peace Foundation (US), working Director of Interfaith Partnerships, as well as the National Director of the Safe Haven Campaign: Interfaith Alliance to Abolish Human Trafficking. “Today,” she began, “we can see through media how we are affecting each other. We can experience the diversity of humanity immediately. We may feel that people, perhaps not of our specific group, are so extremely different that we cannot bridge those differences.” Feeling so dissimilar to one another, people are therefore less certain of their lifestyles and their support systems in providing a sense of belonging. “Technology brings us closer, but it also highlights our differences, and this is what must be overcome”. As Mrs. Hambleton indicated, terrorists, gangs, or other related groups are similar in their desire for meaning in their actions to fill the void they have from their lack of belonging or support, which results in their realization of the great differences between themselves and others. By invariably remaining within a social, religious, racial, or cultural group, a communication breakdown occurs between groups and conflicts arise, as Mrs. Hambleton observed during her time in Rwanda. When this conflict occurs, there is fighting, death, and destruction for all parties–everyone loses. To address this issue, the Global Peace Foundation has embraced the vision: ‘One family, under God’. She presented a solution in her thesis: ‘Social cohesion in diverse and pluralistic societies can be attained based on universal principles and shared values.’ The response to the 2010 earthquake in Haiti exemplified how people – across religious, national, and racial lines – united to assist the Haitian people in a time of tragedy. Compassion, love, and faith are what enable mutual understanding. Recognizing and accepting universal values in religion and civic duty are what cultivate social cohesion, she concluded. The final speaker of the panel was Imam Talib Sharif, President of the Nations Mosque, Masjid Muhammad. To begin, Imam Sharif cited Allah’s words just before the time of creation: “Come you together, willingly or unwillingly,” to which his creation said, “We come willingly.” Thus, God ended the chaos that was present before creation to create the world. This natural order, Imam Sharif explained, demonstrates that humans must live by the word of God, since that is what is natural and what inaugurated our existence. Our natural human identity is what supports and legitimizes other identities, so it is crucial that we recognize it to ensure humanity remains a socially cohesive, not fragmented into various groups. Humans come into the world with the most natural human tendencies: to smile, laugh, love – to connect to others. Over time, our childlike resilience is eroded, our peace of mind lost. He provided the example of Denver, Colorado, where he was a part of the Stop the Violence Campaign, addressing gang violence. In interviewing gang members, he found that they all joined to attain the sense of belonging and family that they evidently lost from their childhood. Imam Sharif said, “Everybody is crying out for something.” Extremists are doing the same, as they are “looking at some of the pictures that are affecting human life that are not getting enough attention.” In committing such heinous crimes, radicals lose their humanity and are divisive forces in society. Therefore, Imam Sharif believes, it is paramount that we stand firmly for justice to maintain our collective human identity, which is necessary for humanity to have peace amidst our diversity. He said, “In our nature, we all want justice,” and realizing that is the goal of interfaith dialogue. Gail Hambleton is the Vice President of the Global Peace Foundation-USA. She works specifically as the Director of Interfaith Partnerships, and the National Director of the Safe Haven Campaign, Interfaith Alliance to Abolish Human Trafficking. Ms. Hambleton has worked for decades in various International NGOs, many of which were involved in interfaith peace efforts. She lived and worked in Africa for eight years serving in the mission and humanitarian aid fields. Her passion for peace is rooted in her difficult experiences during the war in Zimbabwe, the military coup in Kenya, and the aftermath of genocide in Rwanda. Ms. Hambleton was instrumental in establishing the humanitarian aid organization “Women for Women” in Rwanda, in 1997. 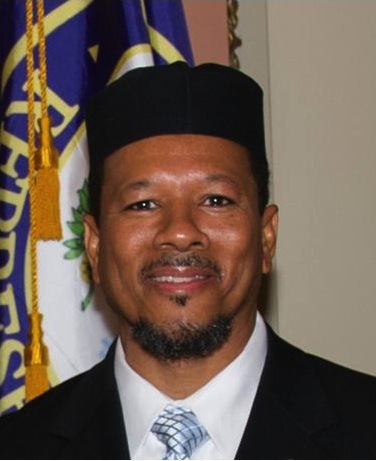 Imam Talib Shareef is President and Imam of the historic, Nation’s Mosque, Masjid Muhammad, located at 1519 Islamic Way, (4th Street), NW, Washington, DC. Imam Shareef retired as a Chief Master Sergeant of the United States Air Force after 30 years, and holds a Masters of Business Administration from American Intercontinental University, a Diploma from the Imam Muhammad ibn Saud Islamic University, and is a graduate of the Defense Language Institute Foreign Language Center in Arabic and Middle East studies. He is a student of the late Imam W.D. Mohammed, Muslim-American Spokesman for Humanity. Rabbi Gerald Serotta is the Executive Director of the Interfaith Conference of Metropolitan Washington (IFC) Prior to his position at the IFC he was the Founding Executive Director of Clergy Beyond Borders. 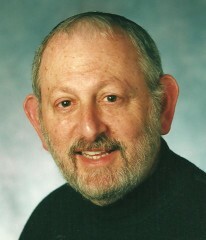 Rabbi Serotta formerly served as a University Chaplain and Hillel Rabbi for 28 years, the last twenty years at The George Washington University, where he was Chair of the Board of Chaplains. He also served as President of the Association of Hillel and Jewish Campus Professionals. While on Sabbatical from Hillel, he held the position of Senior Rabbinic Scholar-in-Residence at the Religious Action Center of Reform Judaism, working on issues of globalization and economic justice from a Jewish perspective. He also served Temple Shalom and Shirat HaNefesh Congregations in Chevy Chase, MD., as spiritual leader. 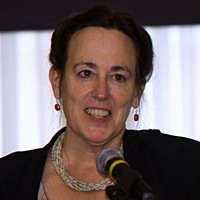 Dr. Margaret A. Johnson, sociologist, is a Senior Research Associate for the Institute for Islamic and Turkish Studies in Fairfax, VA. She is an international speaker, writer, and editor. Currently, she is engaged in research for a book about peacebuilding in areas of conflict. Dr. Johnson is President and CEO of Transfirex Translation Services, Inc., which is celebrating more than ten years of language excellence. Her company was recently ranked fifth among language translation companies in the Washington, D.C. metro area by the Washington Business Journal. Transfirex works with translators across the globe.